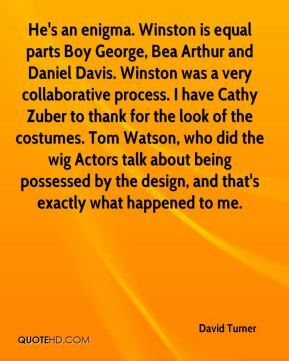 Actors talk about being possessed by the design, and that's exactly what happened to me. 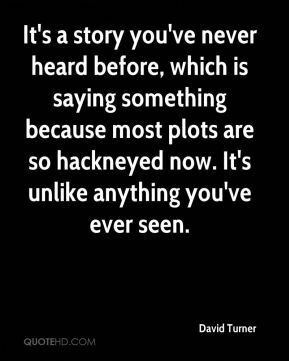 It's a story you've never heard before, which is saying something because most plots are so hackneyed now. It's unlike anything you've ever seen. This was an utterly terrifying experience for those on the receiving end. It was an offence of the utmost gravity. 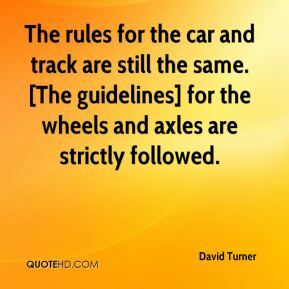 The rules for the car and track are still the same. [The guidelines] for the wheels and axles are strictly followed.